What Hit the 2nd Tower? I was invited to the Vancouver 911 truth event on June 2012, and gave a paper on this topic. A startling new theory by Richard D. Hall has kind of answered the impossibly difficult question: what really went into the Second Tower on the morning of 9/11? He has been examining this question for a few years using 3-D modelling. Many have turned away in despair from this excruciating question. A few days after posting up his ‘9.11 Flight 175 Rada Data 3D Analysis’ , twelve pages of debate quickly burgeoned on the James Randi skeptics forum. RH ascertained that two different sources of radar data recorded the incoming path of what was allegedly the Boeing 175, impacting into WTC-2 at 9.02 am. (1) One source was civilian radar, the other military. They diverged, apparently making two separate paths about 1400 feet apart. The civilian radar trace went into the Tower, the other missed it. Civilian: National Transport Safety Board – Radar Data Impact Speed Study by Daniel Boa described flight path of the Boeing 175, and also gave tables of Mach number & ground speed. RH was able to show that the videoed flight paths did match this path as specified in NTSB. This may not be an ‘official’ NTSB report, but one person’s interpretation of it. Mr Daniel R. Boa is no longer alive. Likewise for flight 11 into the North Tower (3), he found that the given military radar flight-path would have missed the Tower! There are dozens of video-records of whatever flew into WTC-2 that morning, and they appear to show something flying in from all sorts of different angles: ‘There are between fifty and sixty publicly-known videos recording the event which caused the damage to the South Tower’. These, he found, turned out to be concordant with the civilian radar flight-path – not the ‘military’ flight-path. It is unknown, for many of the videos, who exactly took them and where they were taken from, as if there was pressure upon those who took the videos to shut up. (4) So RH had some latitude, in his 3-D modelling, in adjusting the location of each camera. Thereby he constructed a single 3-D path, from numerous 2-D videos. He found it very evident, that they did not fit what was supposedly the more accurate data-set namely the military. From all this he argues against use of computer-graphics to simulate the plane-image: that some real object, or real phantom, flew into the Tower. People really saw it: but, there seem to have been only 21 people in New York city who saw that plane or whatever it was fly into the second Tower (5) – and of them only half heard a noise of the plane flying. A Real Fake impact – ?? Two videos exist of the ‘impossible’ impact, clearly showing the ‘Phantom’ merging like soft butter into the WTC-2 building. (7) These are at 16 minutes, 20 and 30 seconds into the RH video, above. You’ve probably seen them before. Taken from very different angles, they are both of the same object, are they not? But, what on earth is the object? Both videos show the same weird characteristic of the starboard wing fading away … If you think that is a real plane, there is no point you reading any further. Some say it was a hologram… When I did physics, a hologram could not fly through the sky! And, by any standards it is impossible for radar to ‘see’ a hologram. RH surmises there was something flying along the military radar-path that was invisible, which somehow projected the hologram. This might be mistaken, the two flight paths may turn out to be one if the ‘military’ radar was just in error for whaterver reason, but this will not invalidate RH’s theory, that it was a real detection of a fake plane. As to why the plane should have been made to fly at the impossibly high speed, some 580 mph (given in the civilian radar data sheet, also RH was able to calculate it from his 3-D model) possibly there would have been more danger of people seeing it was just a phantom, had it moved more slowly. A Boeing 767 could hardly maintain 300 mph at that low altitude. He noted – as many have before him – a strange lack of reflected light glinting off the ‘plane’ which looked charcoal-dark and without windows even though it was a sunny day with blue sky. Then when it entered into the shadow of the Towers just before impact it appeared as mysteriously gleaming. Of all the video clips of this impact from the ground, none were filmed by professional news media teams. Were they somehow restrained, as their higher-resolution cameras might have seen it was just a fantom? There is astonishing evidence of CNN buying up the rights and confiscating the film from persons who videod the event from close by. The best-known film of the plane ‘merging’ into the Tower was filmed by Michael Herzarkhani. Somebody called Geoff hill phoned various persons who had taken videos, and his interivew with Herzarkhani is online. The latter was paid a year’s salary by CNN – that could be a hundred thousand dollars – for a three-minute clip! He nervously explained that he was not allowed to discuss the matter or to state where he was when he filmed it (10). 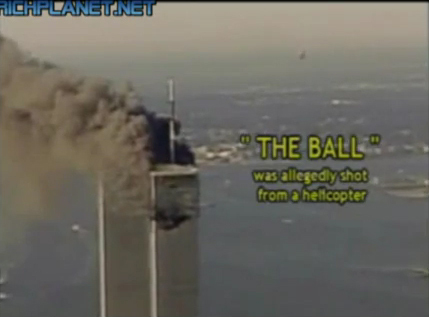 Two years ago, RH proposed a theory that some sort of ‘ball’ had come in from a different angle to impact the WTC-2. It was, he said, clearly not a plane, missile or helicopter. The video of this was taken high up maybe from a helicopter, and therefore behind the ‘ball’ moving through the sky towards the Towers, there was just a hazy view of Manhattan and the river. Then (he told me) people started emailing him suggesting (a) the path of this object was compatible with whatever hit the WTC-2, and (b) sometimes wing-like effects could be detected around this ‘ball’ or blob. That stimulated him to the present more thorough 3-D investigation. He now accepts that its path is the same as shown by all the other films of this event – contrary to what he had earlier believed – but, he is suggesting that the ‘hologram effect’ was then not working properly, i.e that somehow it only ‘worked’ against a clear blue sky: with New York city behind it, it somehow did not appear. 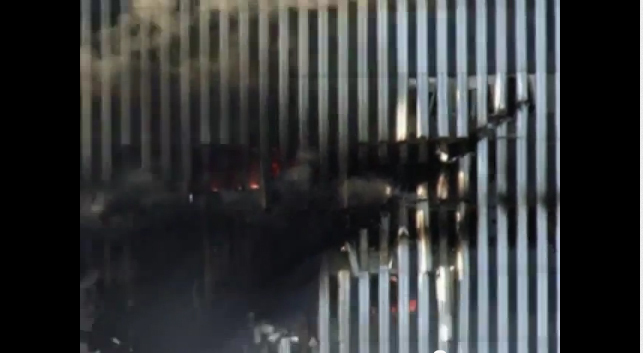 This ‘blob’ can be seen appearing and heading towards WTC-2 at 8.30 minutes in his present video. Web-debate on the James Randi Sceptics forum has commentators generally impressed by the work done by RH – this is not just another armchair philosopher at work, but careful 3-D reconstruction. They are impressed by the way all of the data he used to prepare his video has been made available: ‘The data used to prepare the video have been made available for download by anyone. It consists in over 285mb of data.’ Bloggers are expressing a sense of relief at being delivered from the Simon Shack September Clues video-fakery story. Flight 175 that took off from Logan airport, Boston, was not destroyed on that day because the plane remained in service, but we do not know what happened to its 66 passengers. 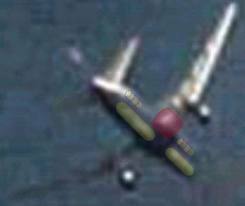 RH has put forward the case, that some kind of single object in motion has been multiply photographed and witnessed, as being the plane that impacted the Second Tower. His earlier analysis of the video taken from a helicopter saw it as just a ‘ball’ of some kind: the ‘plane’ illusion only worked from below. … the possible use of sophisticated holograms to project the image of a plane that is in fact not there. We have support for this possibility from John Lear, one of our nation’s most distinguished pilots, who has not only given affidavits about the impossible speed of the plane in the videos we are discussing but has observed that the absence of strobe lights on the top and bottom of the fuselage indicates we are viewing a fake plane. I like this hypothesis, because it accounts for the impossible speed, the fake entry into the building, and reports from witnesses who claim to have seen the plane, such as Scott Forbes, whom I interviewed on 10 September 2010, and Steven Brown, on 27 August 2010, on “The Real Deal”, radiofetzer.blogspot.com…. Scott, who worked in the South Tower, told me he saw the building “swallow the plane”, while Steven had recently taken a course on holography at Cambridge and supported its technical feasibility. 1. The United airlines ‘Flight 175’ that took off from Boston that morning (supposedly hitting the 2nd Tower at 9.02) had the I.D. ‘N612UA.’ In the year after 9/11, the plane N612UA was registered on the FAA Federal Aviation authority as still airworthy, i.e. it was not destroyed on that day. 2. ‘BCR’ on the James Randi ‘sceptics’ forum is John Farmer, who originally made this data available: ‘I, John Farmer, obtained the 84 RADES data from the USAF’. 3. The American Airline flight 11 took off from Boston was a regular daily flight to LA every morning, however its last-ever flight was on 10th September 2001 according to the BTS Database (Bureau of Transportation Statistics). Nobody could have booked a flight on 11th September on AA flight 11 because it was not then scheduled to depart. Whatever hit the WTC-1 at 8.46 am that morning was not ‘AA flight 11’. 4. The National Institute for Standards of Technology NIST produced a video containing 30 different camera angles (ref?) Twenty or so videos were taken from ground level around the Towers, and RH found that not one had come from a professional news-photographer. These would have better zoom cameras mounted on tripods, and would such photos have shown up the ‘phantom’ image? RH also said that CNN went about buying up rights to any videos taken from the ground. 5. Andrew Johnson made a study of some hundreds of reports from witnesses who were within half a mile of the WTC. He found that about twenty saw a plane impact into WTC-2, and a similar number heard it impact, but no more than 8 both heard and saw it. 6. In his earlier or ‘first’ theory, RH had been more sympathetic the September Clues position. This NB had a definite nose-cone impossibly emerging from the other side of WTC-2, after the impact – which would endorse its case of video-fakery: RH told me, he had definitely not seen that in his collating of the WTC-2 impact v ideos, and indeed suspected the author of September Clues of rather fiddling this to establish his case. Most of the pictures you see in RH’s composite, have some explosion blowing out dramatically from the other side of WTC-2 – but not a nose-cone emerging! 7. Gerald Holgren saw that the Phantom Flight 175 “passes through the wall like a ghost without making a hole and without breaking off any parts,” from which it followed that the plane was “simply a cartoon, which has been animated into the footage.” That is the conclusion now rejected by RH! 8. An affidavit by aviation engineer John Lear affirmed that: ‘The spars of the wing, which extend outward, could not possibly have penetrated the 14 inch by 14 inch steel box columns placed 39 inches on center and would have crashed to the ground.’ This endorses what Judy Wood said to RH in the video, that the fragile wingtips could not have sliced through the solid steel columns of the WTC-2. 9. ‘No other plane fits the hole as precisely as a 767, down to the narrow grooves created by the wings on either side of the impact hole’, – Jnl of 911 studies. Note that RH’s conclusion concerning the cutout holes is similar to that of Jim Fetzer. 10. Fortunataly, Andrew Johnson in the UK archived these phone messages. 11. There was as Morgan Renolds pointed out ‘no aircraft debris showering down below the impact zone’ nor any part of the plane located, with its unique serial number stamped onto it. See also Judy Wood’s comment upon the unlikely remains of an alleged ‘engine’ from Flight 175, dumped on Murray Street. A 757 hit the WTC tower, it’s possible that a shaped charge was used to facilitate the entry into the building and create the shape. Other than that, any video fakery or “phantom” plane ideas are complete bunk and should be seen for what they are: attempts by unhinged people to muddy the waters and ridiculize the 9/11 truth movement. Thanks Joe – but what do you make of the speed it was flying horizontally towards the Tower at 580 mph – estimated both from the radar track and from several video sequences. Is there not a wide range of expert consensus that a Boeing passenger airplane simply cannot do that speed at ground level? It only does that at 30,000 feet latitude where the air is only one-third the density, indeed they fly at that altitude in order to get that speed. They used military grade holograms projected from a satellite/low lying platform. I believe 100% that we don’t know everything that happened on 9/11. However, this theory doesn’t pass the credibility test. What happened to the poor souls on those flights? The author claims the jets last flight was on 9/10/01. I would like to see a link to the report he is referencing. I agree there is a real problem as to what happened to the passengers on the UA flight 175, Boston to LA that morning. But, if it helps, the passengers who turned up expecting the daily AA Flight 11 8am Boston to LA (first Tower??) would presumably have got the UA flight 175 -o, never mind…. I suggest we stop feeding into and from the trough(s) of endless speculation that are put out by the Farmers for the Herd. After just a little time it became rather obvious that one needs rather to personally seek out a wholesome source of non-poisoned information. And that’s where the problems really begin, eh! —Breaking away from the herd. That’s another behavior that calls down the wanton patronizing label of ‘mental illness’ from the fat controllers. You people have taken heed of these events I hope. Once upon a time the ‘no plane’ theory held a question mark over both the Pentagon ‘coring’ and the indent in the ground in Pennsylvania. Now, courtesy of Richard D. Hall, the ‘no plane’ theory rightly extends to all four planes! I believe this theory holds great credence because, quite simply, jumbo jets cannot go at the speed depicted in the 26 or so videos analysed, and the public domain GPS/radar data verifies it to be correct! Watch any jumbo jet as it approaches an airport… they seem to hang in the air, flying very slowly – looking sluggish and heavy, almost as if they might fall. On 9/11 however, Flight 11 approaches and unrealistically smacks into the WTC at a phenomenal speed!